Over the course of the summer, updates from The Education Trust-Midwest will be distributed on the first Tuesday of each month. Weekly updates will resume on September 4, 2018. Today is Michigan’s 2018 primary election day and the polls are open until 8:00 p.m. To find your polling place or view a sample ballot, click here. Last month, the U.S. Department of Education categorized Michigan as “needs intervention” for our performance on meeting the needs of children with disabilities, ages 3-21. Michigan is the only state in the nation receiving this lowest-possible designation. Students qualifying for special education services are entitled by federal law to a free and appropriate public education. Yet the achievement gaps in Michigan are staggering. For example, just 56.7 percent of Michigan students with disabilities graduated high school in 4 years, compared to 80.2 percent of all students. Every student, no matter their ability, race or family income, deserves access to an excellent education. And every parent should expect nothing less for their child. Michigan’s poor designation for the quality of education provided to students with disabilities is unacceptable and must serve as a wakeup call. During their June 12 meeting, the Michigan State Board of Education approved a timeline for the search and hiring of the next State Superintendent of Public Instruction. The search follows the death of former State Superintendent Brian Whiston in May. Under the approved plan, the search will formally begin in November 2018, with the goal of hiring a new Superintendent by July 2019. This search structure appears to comply with Michigan law, which prohibits the hiring of a State Superintendent during the six months before and two months after an election. Although the search will formally begin in 2018, candidate interviews would not begin until January 2019. This is significant because two seats on the State Board of Education are on the November ballot. In the meantime, Chief Deputy Superintendent Sheila Alles has been selected by the State Board of Education to serve as interim Superintendent. Last month more than 200 organizations and leaders from across sectors and the political spectrum joined together in a public call for civility in public dialogue. 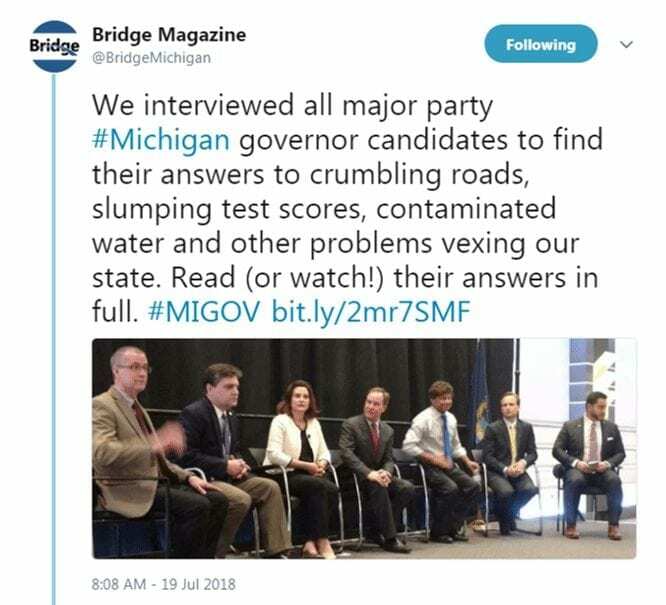 The Education Trust-Midwest was pleased to join with so many in calling for open, honest and civil discussions about the issues facing Michigan and Michiganders. Full text of the open letter is available here. The legislature is currently in recess and is next scheduled to meet on Wednesday, August 15. The next meeting of the State Board of Education will be on Tuesday, August 14. The agenda for the meeting is available here.